CHICAGO, May 17, 2018	(Newswire.com) - Proxima has been named a 2018 Provider to Know by Spend Matters. 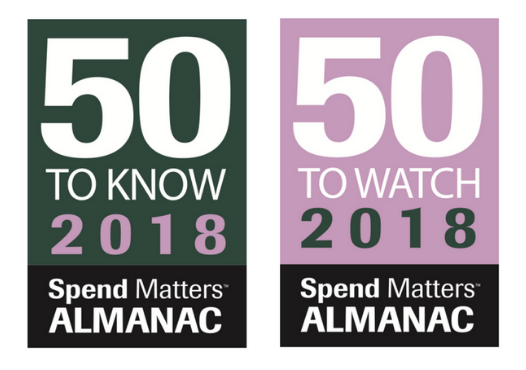 Spend Matters released its 5th annual 50 Providers to Know/50 Providers to Watch lists last week in conjunction with the annual ISM conference. This recognition highlights Proxima's award-winning procurement services particularly in their procurement consulting, managed services, and on-demand solutions. 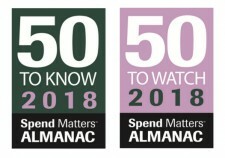 This marks the fifth straight year Proxima has been recognized as a Provider to Know by Spend Matters. Spend Matters routinely reviews the latest procurement technology and service offerings to help organizations make wise and effective vendor selection decisions. The 50 Providers to Watch/Know lists are the result of deep analysis and corroboration among all Spend Matters analysts and reflect the publication’s unbiased, independent view of the organizations to know and watch. Procurement is our business. We are a leading provider of procurement Consulting, Managed Services, and On-Demand solutions. Our procurement and industry experts bring a unique set of specialist knowledge and experience to identify business opportunities, highlight gaps and explore new ideas by helping clients around the world take control of their external spend, changing the conventional view of procurement from an administrative function to one of a strategic driver of value. Proxima provides modern procurement for the modern business.